2015 this past March. 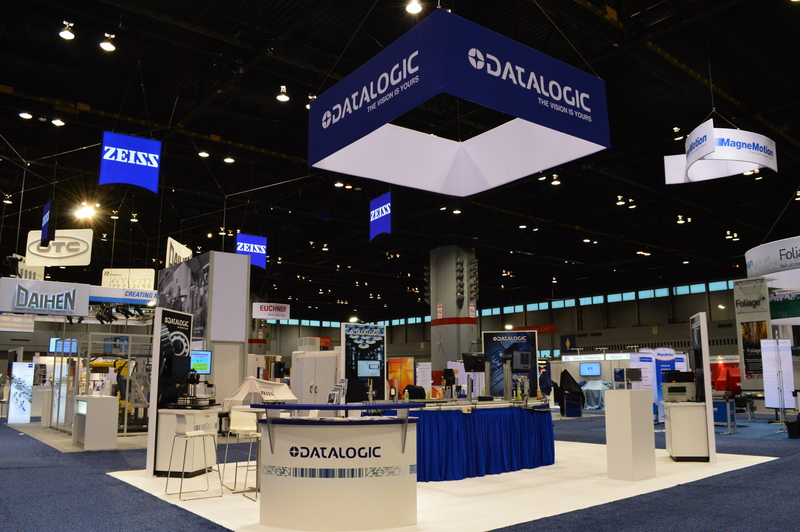 We had the opportunity to help two of our manufacturing and automation clients create their own space at the largest expos for their industries. 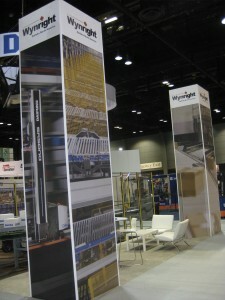 At ProMat, we worked with Campbell Marketing, whose clients are Daifuku and Wynright. The combined technologies of Daifuku and Wynright make them a leader in developing innovative material handling systems. After working with Campbell since opening our doors, we were given the opportunity to partner with them at ProMat for the first time. With their creative direction, we designed a 55’x25’ space to house large machinery with operating robotic arms that anchored the space. The most impressive feature was a custom hanging structure with three 80” TVs that loop content from a ground-based source. TVs also displayed the story of the products being displayed at the show. 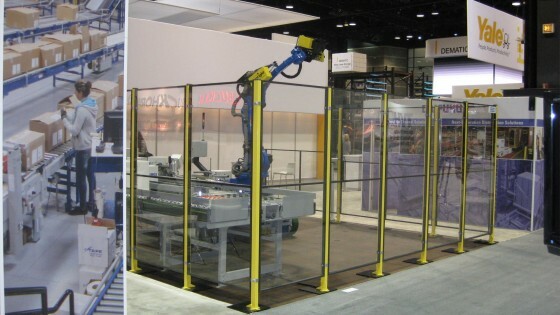 Their Automate exhibit was larger, a 25’x30’, and had a double-sided TV stand in the center of a conveyor belt display. This booth also included four interactive workstations offering information on their products. ProMat and Automate 2015 allowed us to reconnect with two long-standing clients to create exciting new exhibits. We value their partnerships and look forward to our next opportunity to collaborate.